While procedurals are necessarily built around cases of the week to keep audiences glued to the screens, there are always a few overarching story points that allow each show’s characters room to grow and develop. For the past seven seasons of NCIS: Los Angeles, Chris O’Donnell’s Special Agent G. Callen has been learning more and more about his past and his original family, with one of the biggest mysteries being his own first name. Thankfully, fans will soon finally find out exactly what that G. stands for. Gee golly gosh! According to creator and executive producer Shane Brennan, Callen discovering his real name was always an inevitability, but that doesn’t mean his hunt will be over. It was always my intention to reveal Callen’s identity before the show ended. We’ve had a lot of fun finding out who Callen is, and from where he came. I wanted the audience to have the opportunity to enjoy that moment. And while he’s now discovering his identity, Callen’s odyssey isn’t over. In many ways, it’s just beginning. That’s great, as it would be a total bummer to have him learn his name only to close that chapter of his life and start playing video games all the time. While CBS hasn’t given any sign of whether NCIS: LA will get renewed for Season 8 or not – and the network has little problem canceling popular shows – it sounds like Brennan and the creative team have a plan to keep Callen’s lineage central to his story moving forward. Callen spent most of his childhood in dozens of foster homes in different places of the world, though his origin began in Russia, and no one ever bothered to tell him what his first initial stood for. His grandfather, an OSS agent, was named George, which some fans have theorized is where the G. came from. Both of his parents are dead, so he won’t be finding out from them. 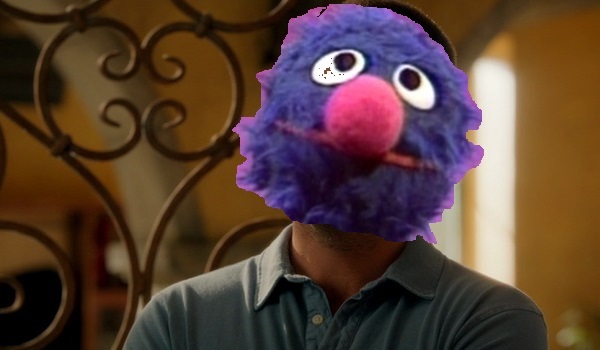 I’m personally hoping for a spectacular crossover to happen when it’s revealed his first name is actually Grover. NCIS: Los Angeles is going to return to CBS for the remainder of Season 7 in just a few days on Monday, January 4. (Add “Going” to the list of non-likely names.) To see when the rest of your favorite shows will be returning and premiering, head over to our midseason schedule.